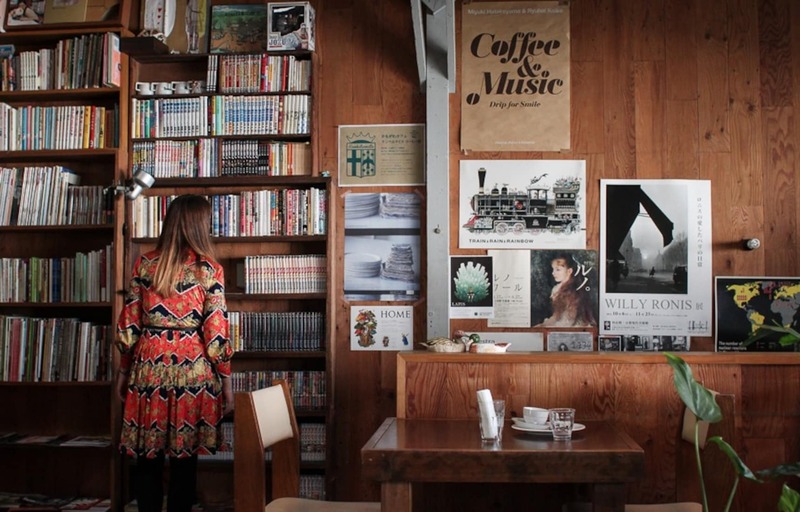 There are a number of long-loved cafés in Kyoto, and it's a city with its own coffee culture. It's said that there are even people who visit Kyoto just for the purpose of café-hopping. 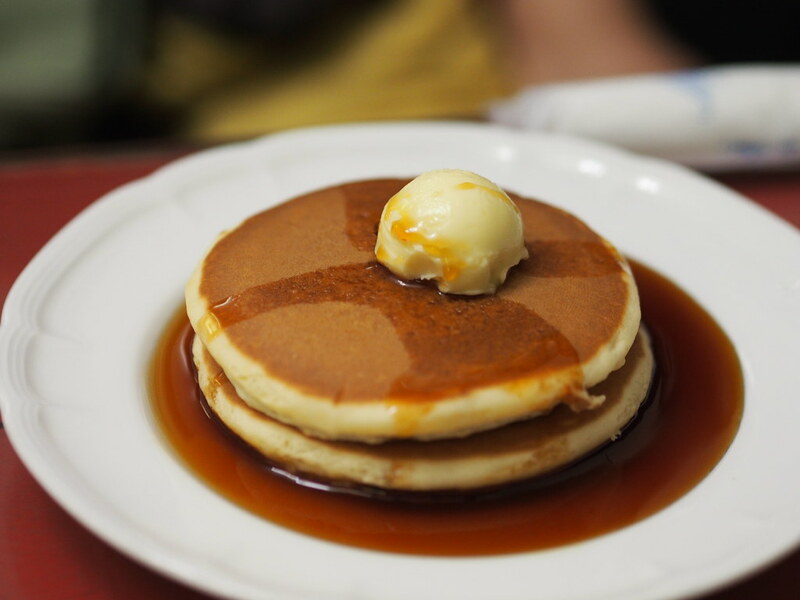 Try fitting a visit to an old-fashioned café into your itinerary for your trip to Kyoto, where coffee, pasta and pancakes await. This café in Teramachi opened in 1942. 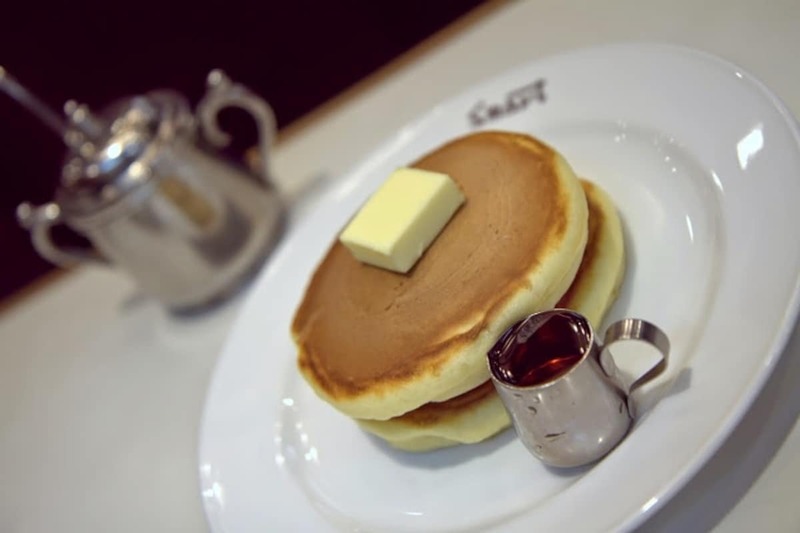 It proudly serves coffee brewed from beans roasted in-house with perfectly round hot cakes that are popular among customers. Regulars refer to each other as “Father” and “Sister” here, giving this café an at-home feeling. Coffee is served from a siphon and the café's interior feels cozy, imparting a nostalgic feel to the place. Rokuyosha Chikaten (a chikaten is an underground shop) opened in 1950 and has been serving drip coffee and homemade doughnuts ever since. In the evening the place turns into a bar, too. This first of five Maeda Coffee Shops, opened in 1971 when the proprietor left the famous Inoda Coffee to open his own café. Maeda offers coffee made from beans that are roasted daily, and the café's Spaghetti Napoletana has been a popular dish since its opening. This café operates out of an old, remodeled townhouse and has a chill atmosphere. It's run by a husband and wife, who make their own hearty lunches and creative homemade desserts. Café Organ is particularly popular among women, but everyone can feel welcome! This coffee shop has been open since 1935. Unzen proudly serves flavorful coffee made from beans roasted in-house, and has its own cadre of daily regulars. 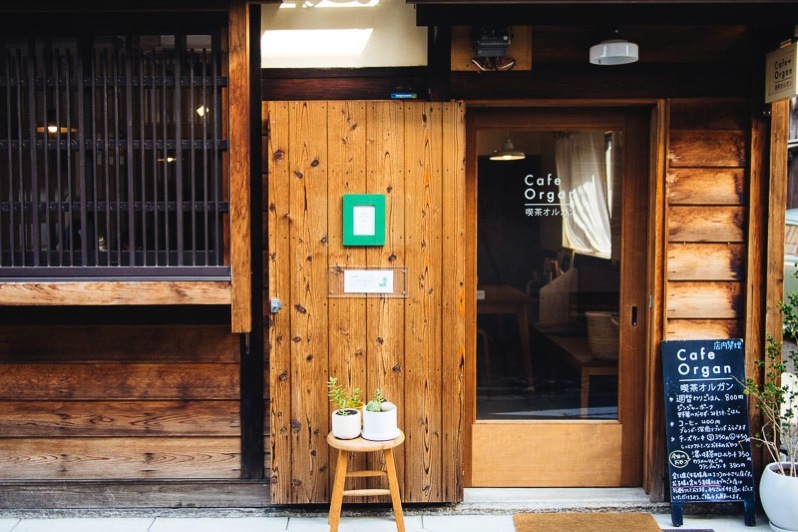 Café Donguri is an old-fashioned café set in Kyoto's business district. It has a long, diner-style counter, handwritten menus, and exceptional coffee carefully served by the master from a hand-drip coffee maker. A cozy café located downtown, at Café Violon you can enjoy coffee and wine while listening to classical music. Your morning coffee (9–11 a.m.) comes with a morning set: thickly sliced toast, a boiled egg, and yogurt with rose jam. Shizuka first opened in 1937, and its interior and menu have remained pretty much the same ever since. The unfussy, retro atmosphere makes this café a place where you can relax. This café uses a duck, or kamo, as its trademark. The interior makes you feel comfortable with its shabby books, rustic wood and large-leafed plants. We recommend the original blend of coffee made with home-roasted beans, and the healthy lunch specials are sure to please.